Snead town clerk Rae Ware at the Snead Town Hall the day after the council approved her resignation letter. 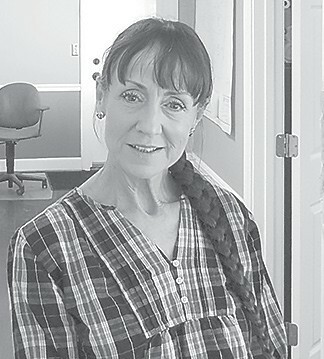 In a Tuesday interview, Snead town clerk Rae Ware reaffirmed statements in her retirement announcement from the prior evening. She said she had thought she might remain a few more years, but had decided that conditions at the town hall suggested she leave now. Ware avowed she has mixed emotions about leaving. She asserted she had served under various councils and mayors during her more than 24 years. She said she had enjoyed them for most of the time, but that she was now finding a lot of tension in the office. She cited fellow town hall employee Kay Whitman’s decision to leave and family obligations as playing into the timing of her decision. Ware noted she planned to depart the coming weekend to visit with her healthy, but 88-year-old mother in Florida. Upon her anticipated April 10 return, she planned to spend a few weeks relaxing and then search for other possible employment. She said she had already received one job offer. Contacted again on Friday, Ware offered new plans. She said she has agreed to return to the office after April 10 and remain through the training of her successor. When the newspaper sought comments from embattled court clerk Jennifer Adams, the receptionist advised that Adams was not in the office. Rumors in Snead circulated that Adams left the office Thursday afternoon and removed her personal items Friday morning. When Adams returned the reporter’s telephone call she had no comment. Attempts to reach Snead Mayor La’Shone Price and council members proved unsuccessful.